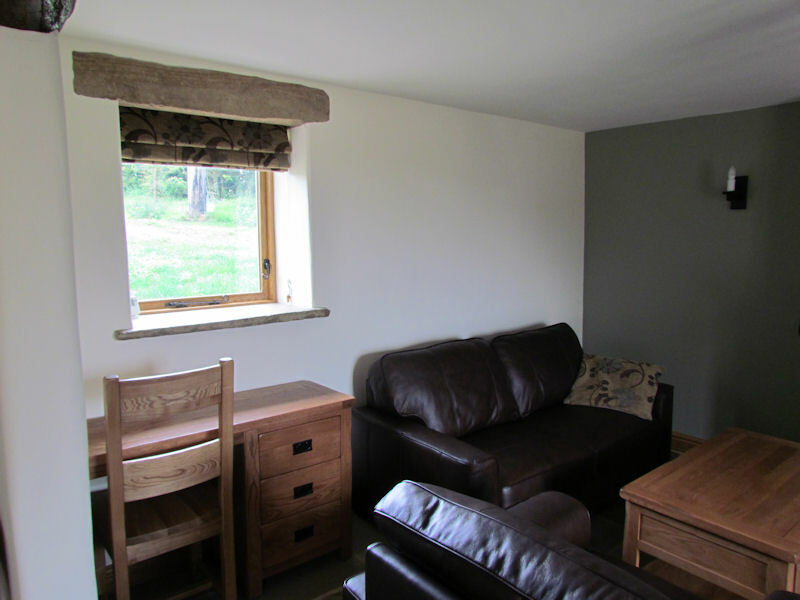 You enter the accommodation into the open plan dining and lounge area with large glazed windows/doors (lots of natural light) taking in views of the central farmyard. 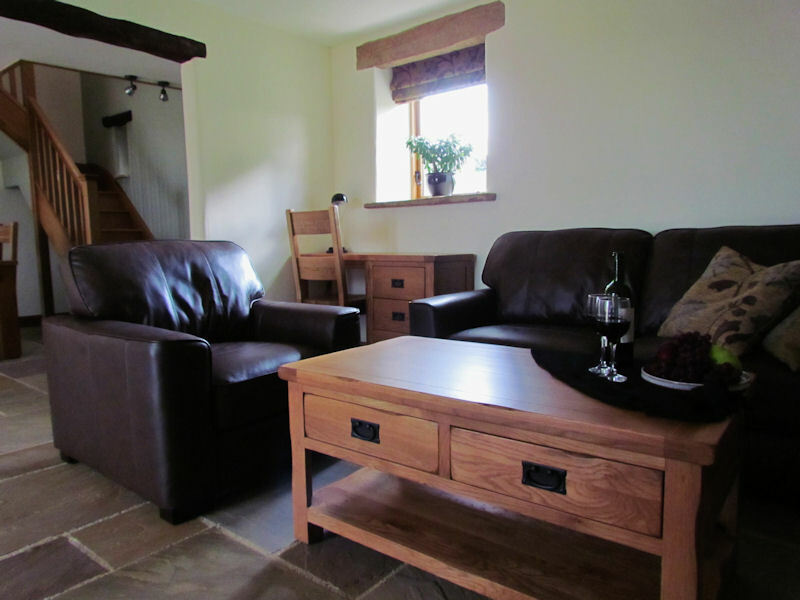 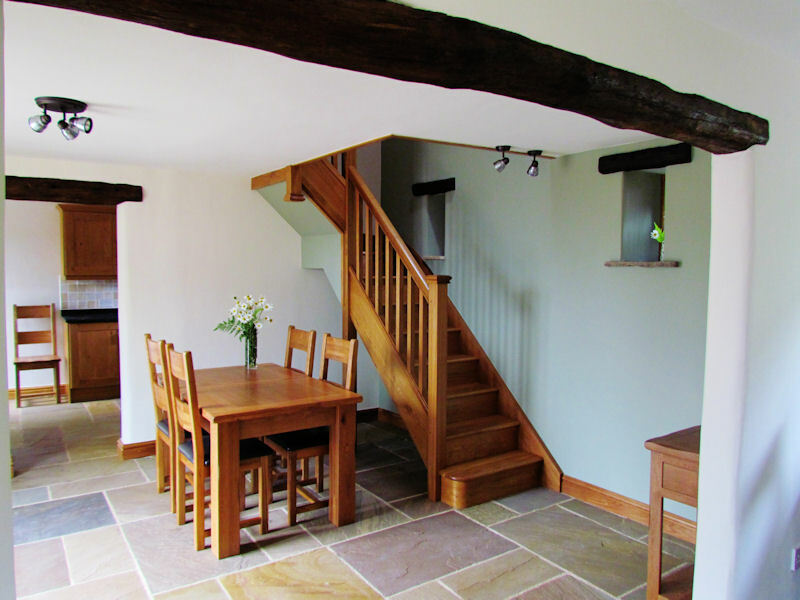 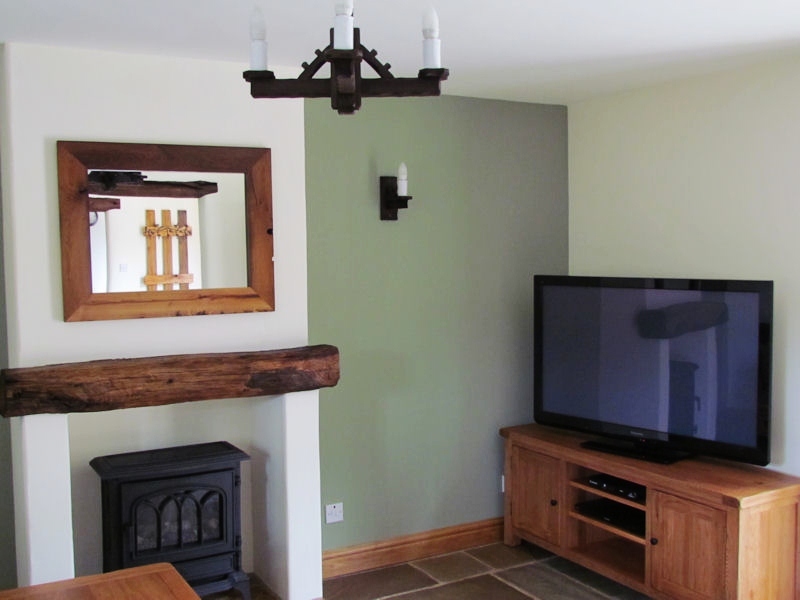 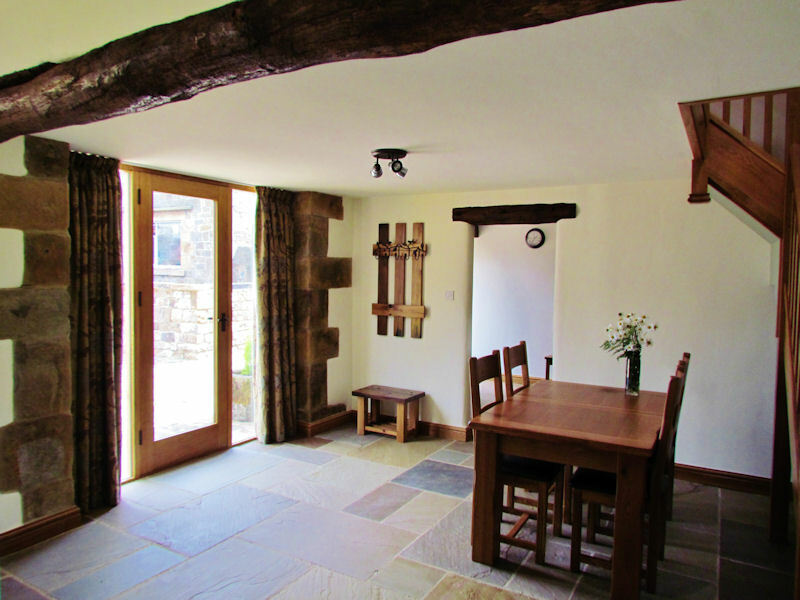 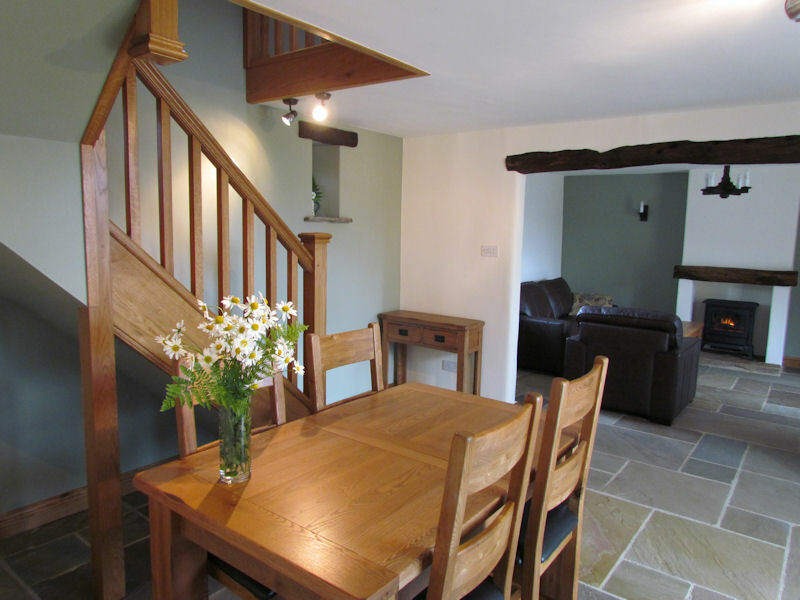 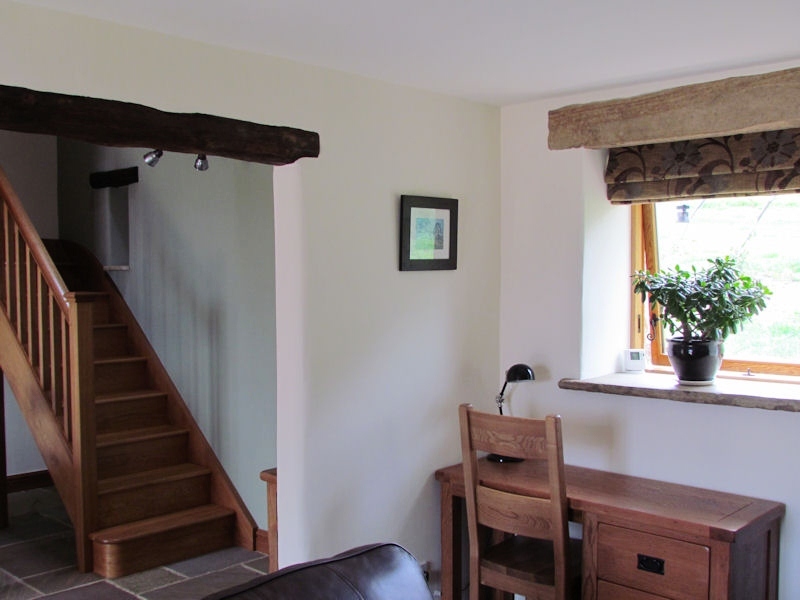 Fern Cottage is a fantastic property with oak staircase and exposed oak and stone lintels giving the place warmth and character. 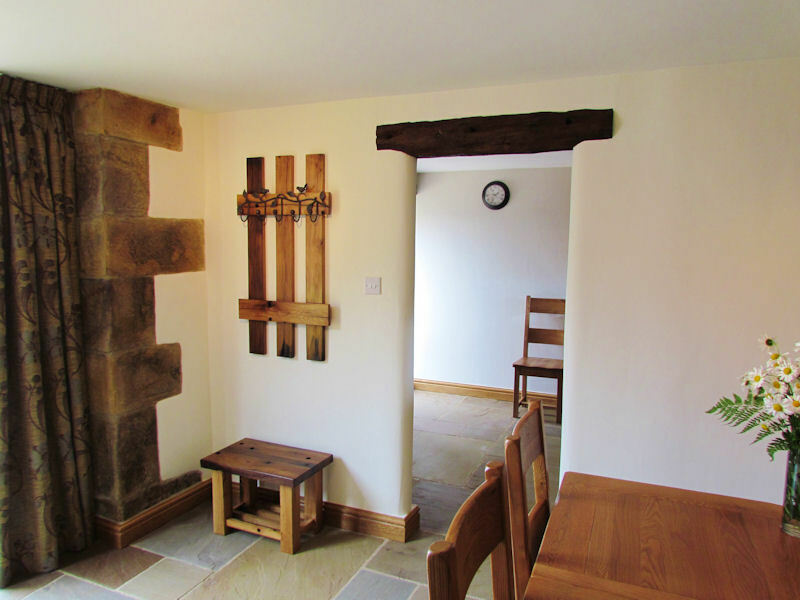 There is stone floor downstairs but do not worry your feet will not get cold … there is under floor heating and a fire place (cast iron electric stove) in the living room.